2018 was a tough year for South Africans in general. The country slipped into a technical recession and we only managed to come up for air late in December. Petrol prices yo-yoed, our shopping trolleys didn’t exactly spill over and the dark “state capture” cloud seemed to rain down buckets of uncertainty and resentment. But as the saying goes, “Every cloud has a silver lining” and as we move into a general election year, we hold our collective breaths and forge on ahead. So much seems to be out of our control, so what can we focus on that is in our control? Our personal finances are something we can make a priority this year. We would all like to earn more money but taking charge of the money we do bring home every month should be a discipline we should all take as seriously as our fitness and dieting regimes. 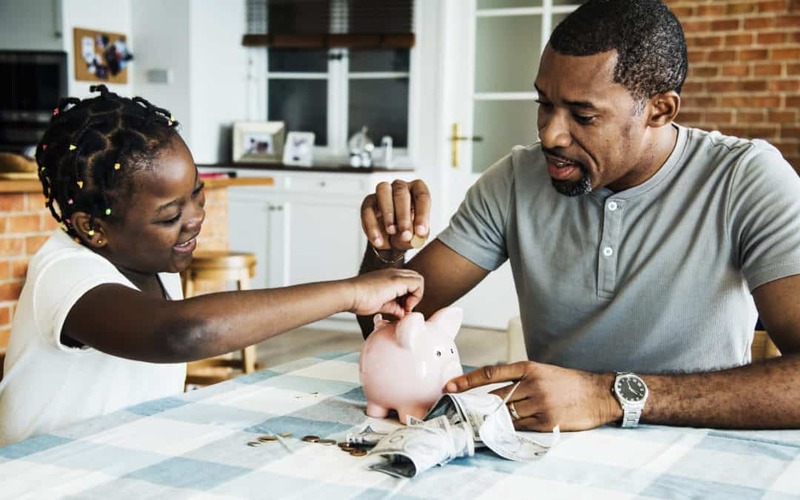 We’ve come up with eight ways you can save thousands of Rand in 2019. If you have any other ideas on how you are going to free up some cash in your personal budget, feel free to leave a comment below. What if you aren’t getting the best deal on the money you owe? Take a person with a 20-year bond on their house. What if they could reduce their interest rate by just 1% elsewhere? On a 20-year bond of R500 000, the difference between a monthly repayment based on a 10% interest rate versus a 9% interest rate is R327. What could you do with an extra R327 every month? If you have a big-ticket item financed (like a car or house) and you’ve been paying religiously year in and year out, wouldn’t it make sense to pick up the phone and ask your lender to sharpen their pencil? How many credit cards are in your wallet right now? If there’s more than one, then ask yourself why. The costs of owning a bunch of credit cards run into hundreds of Rand a month and thousands over a year. In a post we did earlier last year which compared entry-level credit cards across the major banks, we got a sense that owning a credit card costs at the bare minimum R50 a month. Having 4 cards in your wallet means you are paying R200 a month for the benefit of having some “money on call”. Surely it makes far more sense to pick the bank who is offering you the most favourable deal and get them to extend you a facility that is well within your repayment budget. Cancel the rest of your cards and save yourself some bucks. What is your bank giving you in exchange for taking your money? Not much, is the answer. When last did you take the time to check your bank charges? Chances are you’re spending hundreds of Rand each month on unnecessary fees. Do yourself a favour and draw a recent bank statement. Tally up all your charges and if it’s running into hundreds of Rand then decide to half those charges by chatting to your bank about the right type of account for you. If your bank is offering a flat monthly fee that might be the option to go with. Be careful with this one though. Remember the older you are the more you pay for your life insurance and you might find that the premium you have in place is competitive. Nevertheless, if your insurance is becoming unaffordable and another insurer is offering the same cover – or even better – at a price within your budget, then seriously consider it. But please, get professional advice before making that decision. We’re talking about your dependent’s future here. Are you on the most comprehensive plan available but can’t remember the last time you needed it? Or maybe you’ve ignored the cheaper network hospital option only because you want the freedom of choice when it comes to hospitals. The difference in cost between a networked and a non-networked option varies, but it might be as much as R600 a month saving for a single member. Add a partner to your plan, and it jumps to a R1 000 saving a month. Ask your medical schemes broker if there isn’t a more cost effective option available to you. Enjoying that cup of coffee at your local coffee shop everyday costs anywhere between R20 and R25. Your coffee habit could be costing you R12 000 a year. Scary stuff, and we haven’t even gotten to restaurants and fast foods outlets. Now we aren’t suggesting that you don’t ever enjoy a meal out with your family. All we are suggesting is that you start thinking about every purchase you make outside of your kitchen. That mindfulness might be worth R25 000 a year. When last did you have a car insurance claim? If it’s been a while, then maybe you should call your current insurer to find out if you qualify for a discount or simply shop around using your broker or direct insurers. The truth is that if you seldom claim, you aren’t costing your insurer anything, and they have some wiggle room to play with. You aren’t losing anything except a few minutes of your time by putting in a call to find out if you can save a few bucks. How much does it cost you to fill your grocery trolley every month? If you are a family of four, your spend could be close to R7 000 a month (perhaps more). Keeping an eye on a few specials might allow you to shave off 10% of your shopping bill. Advertisers spend millions making sure we know what discounts are available on the shelves, but very few of us take the time to work the discounts in our favour. Keep a beady eye moving forward when you roll your trolley down the aisle. Let’s make 2019 all about being wiser about our finances. Why don’t you share with us how you are planning to make your money go further this year, by leaving a comment below.